Long story short: no, it’s not. If your car is producing smoke (white, blue, black or grey), it is important to first search for the root of the problem. Cars need many different fluids in order to run correctly: engine oil, transmission oil, differential oil, brake fluid, etc. While coolant, for example, is often colourless, other fluids may be very similar in colour. The key is to know that engine oil is brown or brownish yellow. The older the oil, the darker it will be. What causes an engine oil leak? This can be caused by various different things that can happen inside your engine. As we saw in our last article, some conditions may cause viscosity issues which can result in the engine burning oil. For those cases, we recommend using Oil Saver. However if your oil level has reduced, your car is producing blue smoke and an abnormal smell and there are some spots on the ground where you usually park your car then there is clearly a problem with the seal. Engine oil seals, made using rubber or plastic, break down over time. They lose their elasticity and therefore are not able to retain the oil. 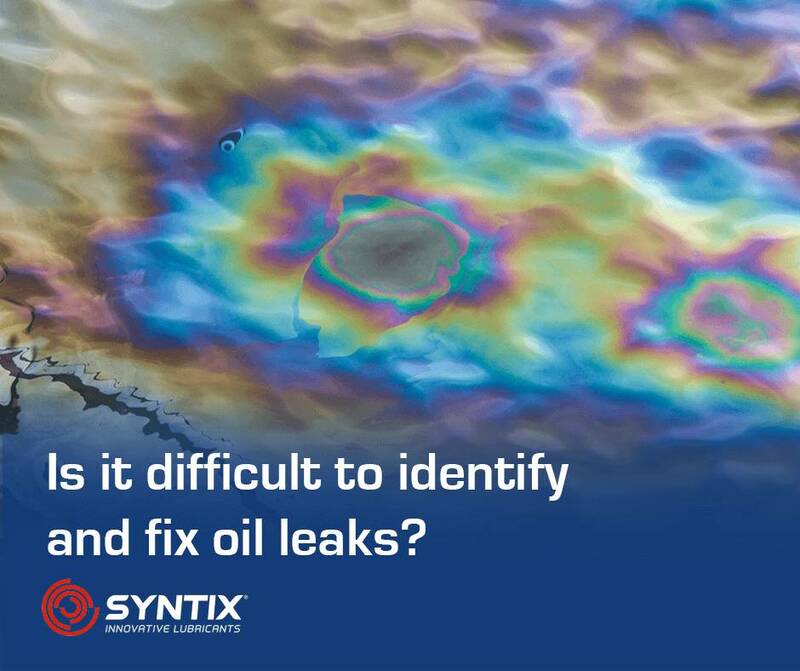 For these cases we have developed Syntix Seal Pro. Suitable for engines, gearboxes and hydraulic systems, Seal Pro repairs elastomeric seals and prevents further issues. Don’t forget, if you are having issues with your engine oil, we recommend to change your oil the smart way. It will ensure the removal of sludge, gum and other contaminants like carbon deposits and soot. This creates better lubrication and therefore less friction, squeezing out that extra bit of horsepower. To get the most out of your car, use one of our MAX PSFD and EVO PSFD 100% fully synthetic oils. They experience very little degradation and have a better resistance to extreme conditions, from frozen climates to demanding race circuits.